Pot stocks have been the biggest craze in finance in 2018. Many Canada-based stocks in the cannabis industry have made massive moves this year, as Canada declared earlier this year that they would become the first major industrialized nation to legalize retail marijuana sales, starting in October 17th. Some US stocks in the marijuana industry have also seen some huge moves, as many states are looking to pass legislation in favor of deregulating the drug. These stocks will offer some great trading opportunities to the long and short side in the upcoming weeks and months. It is essential you learn how to trade these stocks to not just the long side, but also to the short side. We will give you setups for short selling these stocks later in the series and during our webinar. All the pot stocks right now have a strong catalyst. Legalization of the drug in Canada, and possibly in more US states, is big news for these companies. This gives them a reason to increase in value, as there is so much hype in this sector at the moment. Stocks in a strong sector tend to trend together, giving you multiple trading opportunities in multiple stocks. All of the stocks above have the capability of moving 5%-10% (sometimes more), in either direction, in a single trading day. This means that they are volatile. But it also means there is the possibility of making big gains in a short period of time. It is not unrealistic to see these types of moves in just 30 minutes during the market open. With our trading strategies, you can profit from this volatility instead of losing money on it like most people. All the best momentum stocks have strong volume and liquidity. 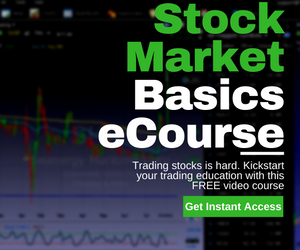 This allows you to exit and enter your positions with ease, and this also means a lot of people are watching the same stock. This is a good thing, as it means there will likely be buyers to push the stock price up in the near future. However, this means you have to know strategies that will get you in early before these stocks make a big move. Now that you understand why you should be trading pot stocks, you need to know the best strategies that allow you to make money. In the next article in the series, we will talk about one of the strategies we use to trade these pot stocks, and give you everything you need to know about how to trade the Canopy Growth stock ($CGC). Join our next live webinar where we will go through all Weed Stocks we're trading + get our Weed Stock Guide free. Reserve your seat here.